To make the soap you will need to combine oil mix, which is a combination castor oil, olive oil, coconut oil and palm oil with lye. Lye comes in flake form. Therefore you will need to dilute it first either with distilled water or Pithiya (Dragonfruit) Fresh Juice. If you are using juice; use this method to mix the lye mix. The oil mix benefits the skin greatly by being a great moisturizing agent and keeping the natural oils on the skin, leaving the skin to look young and radiant. The oil mix also has anti-bacterial properties, so it will keep skin infections at bay. Next we add chia seeds, which will restores moisture to the skin and reduced inflammation on the skin. Its also gives a great mild exfoliating properties to remove dead skin. 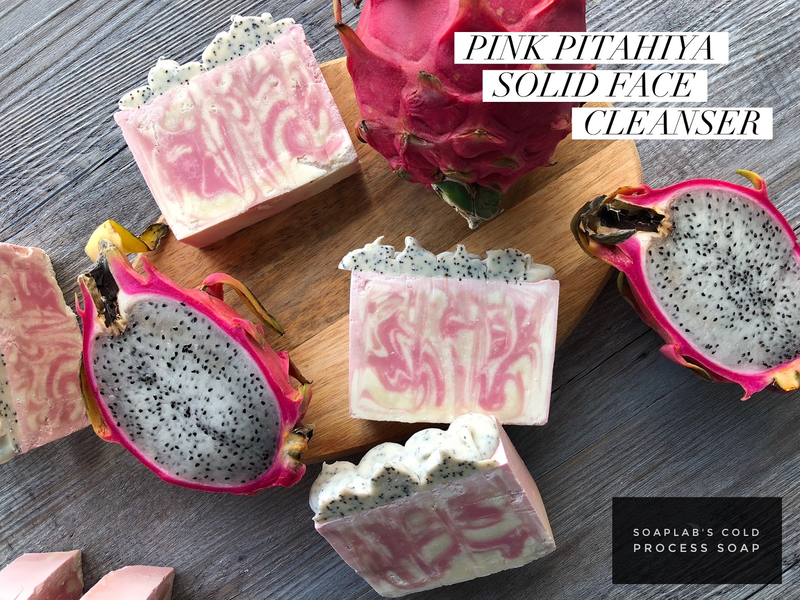 For color; we added mauve pink mica with titanium dioxide mica, so that your soap looks as unique as the pitahiya fruit. Finally, add a cranberry balsam fragrance oil, to give the soap a nice citrusy smell. Enjoy!